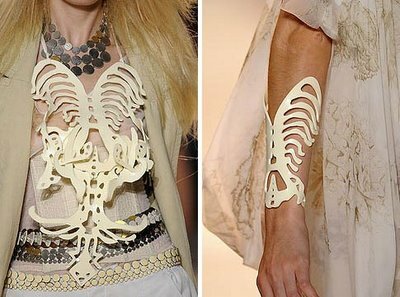 You know, with fashion there are many designs that make you go "what the heck were they thinking?" Well, around here those are some of our favorite items to find, and this time, I've put together some of the strangest and funkiest necklaces out there for your pleasure If you're looking for a last minute holiday gift with only 2 more shopping days left until Christmas, these are also some great options for the weirdo in your life! These strange Sea Monkey necklaces were only in production for a short period of time, and that may be because they were just so odd. If you're lucky enough you still may be able to get your hands on one of these gems, though! The pink Sea Monkey necklace allows you to take a couple of your little buddies with you wherever you go without after they've grown. Of course, it also means that as you wear it you come with your own water hazard and better stay away from those allergic to seafood, but otherwise you'll make quite the statement! 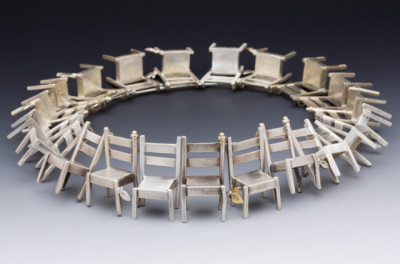 This funky necklace would be a perfect gift for that neighbor that regularly complains about all your unmentionables on display for all the world to seeon your line. Each time she wears it she can remember just how fabulous of a neighbour you are. Won't she feel lucky? 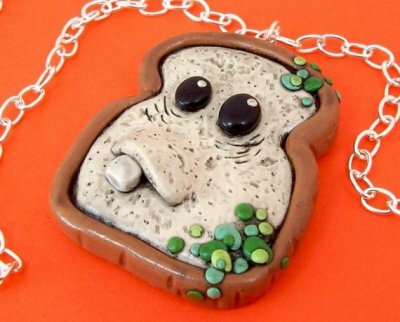 There may be no right person to buy this Moldy Bread necklace for, really, but it had better be someone with a great sense of humor! It's fun and funky and a reminder of why you should always finish the food that's on your plate, so the bread in the bag never looks like this! 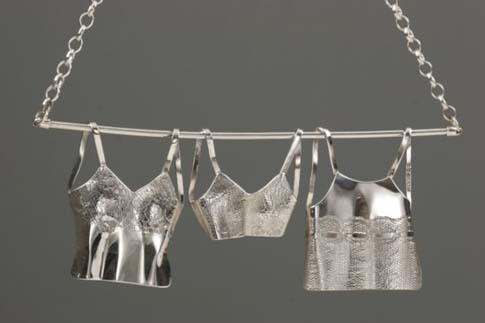 Want a necklace that will just have the wearer in stitches? Well, then this is precisely the right find for someone who likes to look like they've had a gaping neck wound recently repaired! Sure it would make a good Halloween costume, but just think of how it would help break the ice at holiday parties! 'Tis the season of zipped chins and plenty of squealing. 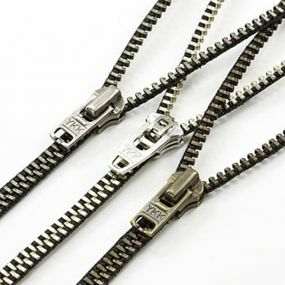 As if people aren't getting enough zippers, it's now possible to wear one as a necklace too. As another get even gift, you can always pick one of these up for a child who just keeps on complaining about all of those zipped chins. Too mean? How about someone who you want to tell to keep it zipped (in EITHER context)? Pretty cool. Pretty weird. But pretty self-explanatory. Wrap it up and wish someone a happy holidays. If you've ever felt like wearing your insides on your outsides or no someone who has, then this necklace is the way to go. It might be a little bit cumbersome, but who hasn't suffered for fashion? 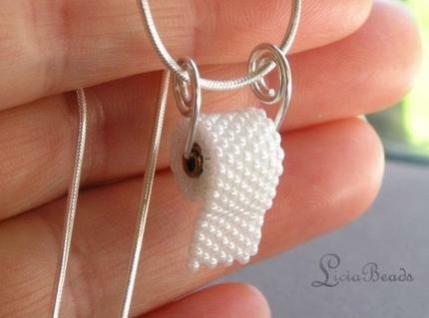 This is a wacky concept for a piece of jewelry, and I could say plenty of snarky things here..but this toilet paper roll necklace is far too pretty for mockery. It would, however, make a good gift for someone that truly appreciates their bathroom time and just never wants to forget it. Should Your Self-Driving Car Kill You To Save Others?